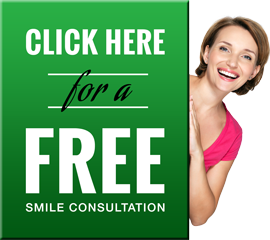 Dental implants are now an excellent alternative to replace missing teeth, particularly when the adjacent teeth have no fillings, are too weak, or there is a long span that would overstress the potential anchor teeth. They are a much more natural solution than a removable partial if one is missing all their back teeth. Traditionally, missing teeth have been replaced with fixed bridgework or removable partial dentures with metal clips for retention. The fixed bridge option requires the placement of crowns on teeth on either side of the space to support the bridge. Ultimately, it is a less invasive procedure for the adjacent teeth if they are minimally restored. The procedure involves the surgical placement of a titanium screw (fixture) into the space and then fitting a crown onto the screw. These have the potential of looking much more natural than many fixed bridges. The treatment time ranges from two to twelve months depending on the situation. To learn more about East Lansing dentist Dr. Gary R. Hubbard, dental implants, or any of the high-quality cosmetic dental services we offer, please contact us here or call us directly at 517.332.2422.